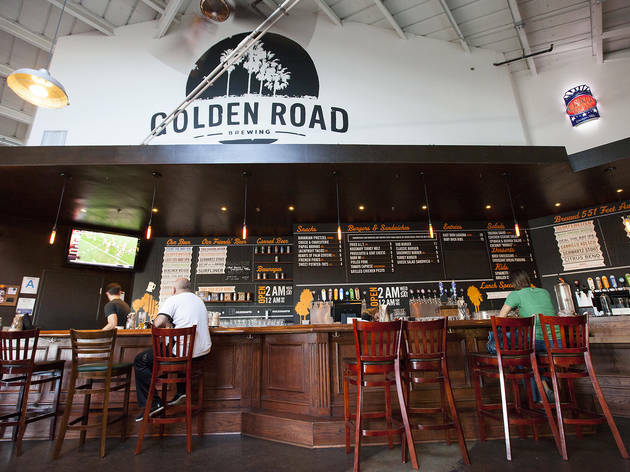 While there has been an explosion of craft breweries in Los Angeles recently, not all of them offer a walk-through where you can learn about the beer at hand. 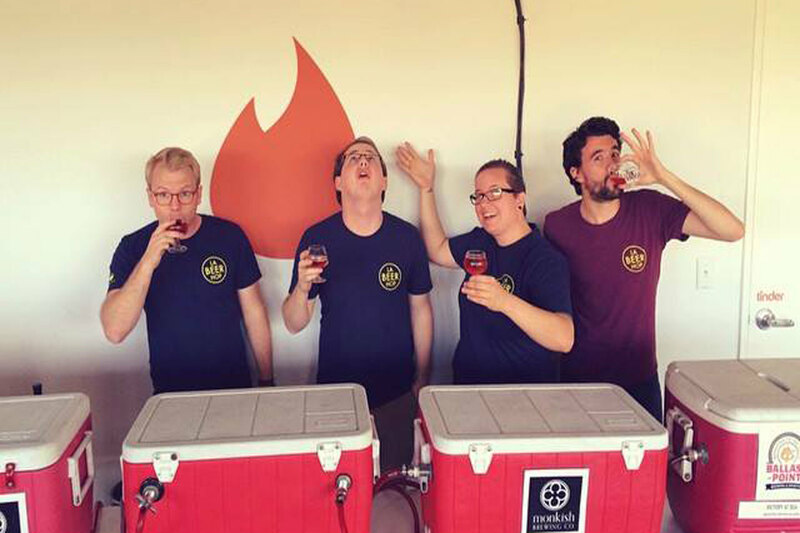 Some places, like Smog City Brewing and Monkish Brewing, are happy to give you an impromptu tour if you ask. 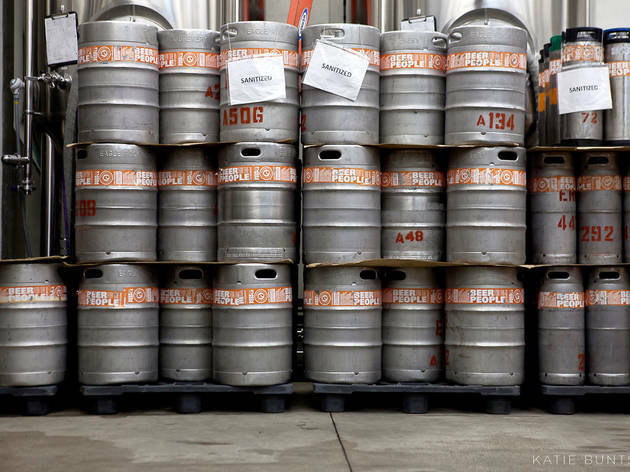 But for a more thorough, in-depth look—and, let's face it, plenty of beer samples—check out our guide to the best brewery tours in the city. Then head to your nearest beer bar or biergarten and start dropping some serious knowledge. Though the taproom at Eagle Rock Brewery might be small—a few tables and chairs, where visitors can take advantage of the board games on hand—the beers on tap pack in big flavor. Three brews are offered year-round, including Populist, Manifesto and Revolution, along with a selection of seasonal beers that we wish would stick around longer. If you're just getting into craft beer, Eagle Rock Brewery is a perfect place to start: the free tours are highly informative, and take place on Saturday and Sunday at 3pm. If co-founder Jeremy Raub is your tour guide, be prepared for an in-depth, highly educational (and close to 45-minute) tour, where he'll talk about everything from Eagle Rock's growler collection to how they clean the tank pipes. Started by husband and wife Hal and Cindy Mooney, LA Beer Hop leads brewery tours on the weekends, offering three tours that focus on different LA neighborhoods: East/Central LA, South Bay and Long Beach. Tours last for 4-5 hours and are led by a knowledgeable Beer Hop guide, picking up each group at a metro stop and driving to three breweries while providing fantastic information along the way. 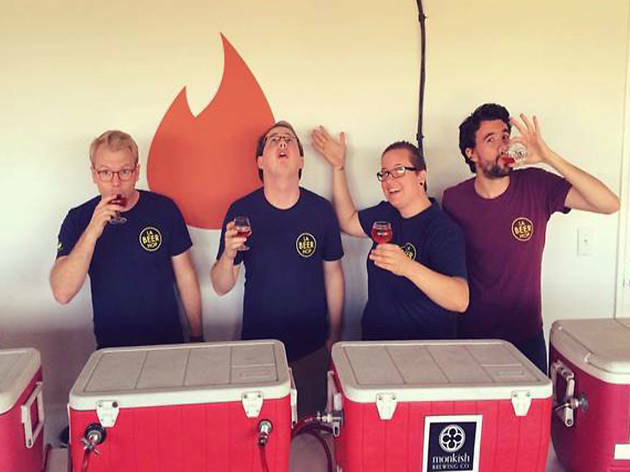 No two tours are alike: on a South Bay excursion, you may be taken to Monkish, Three Weavers and Phantom Carriage one weekend, and King Harbor, The Dudes and Absolution Brewing on another. East/Central LA tours traverse the city from Mumford to MacLeod to Eagle Rock Brewery, while the Long Beach tour might include Beachwood Brewing, Timeless Pints and Smog City Brewing. 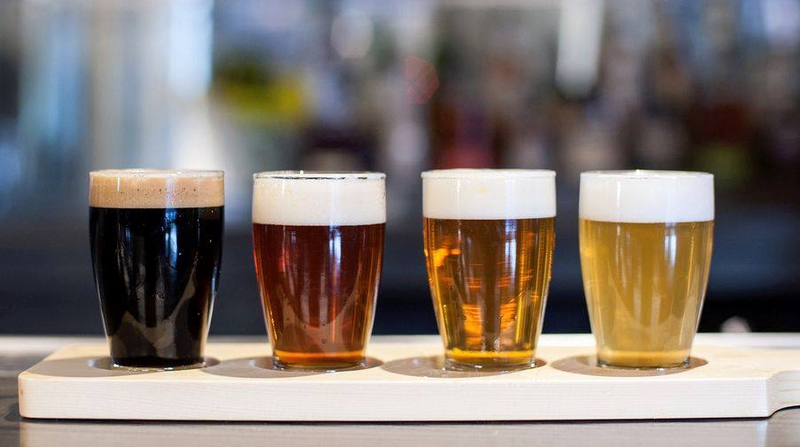 At $65, the tours are a steal—not only do you have a built-in designated driver, but each brewery includes a sizeable flight. And your fellow tour members? Well, that can all depend, but after a flight or two we're sure you'll all be singing together on the bus in no time. After closing up its Alpine Village storefront in 2010, Angel City Brewery rooted itself in an expansive, century-old John A. Roebling building in Downtown LA, the former production site for suspension cables that made their way to the likes of the Brooklyn and Golden Gate bridges. The industrial space has a bare-bones, beer hall feel, with plenty of room to spread out among picnic tables beneath a renovated mezzanine. There's plenty of history here, which you'll learn about when you take Angel City's free brewery tour: Thu-Fri at 5 and 6pm; Sat at 1, 2, 3 and 4pm; and Sun at 1, 2, 3, 4 and 5pm. A lively tour guide leads you around the equipment, explaining the brewing process while also touching on some of Angel City's more unique facts (like the hop garden on their roof). At the end, you'll be able to sample a few brews before settling on a favorite. 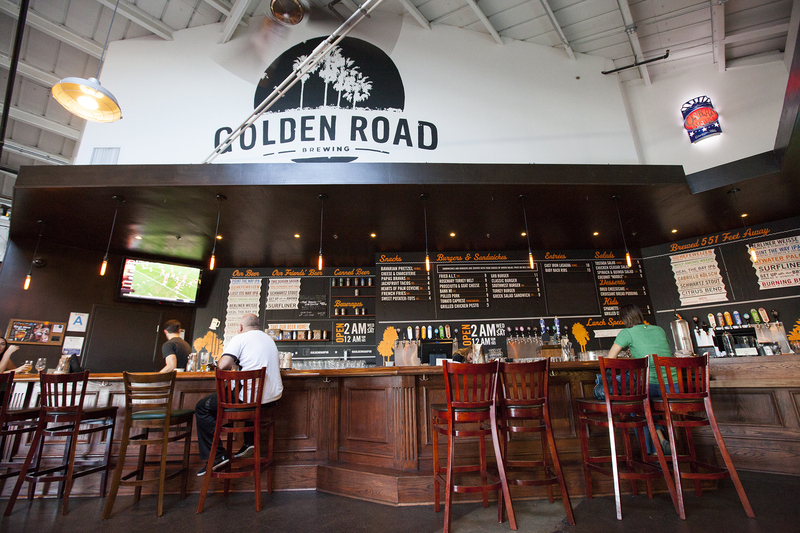 Golden Road Brewing co-owners Tony Yanow and Meg Gill have created a pub modeled after European beer halls, where the communal aspect of sharing beer is as important as the vibe. 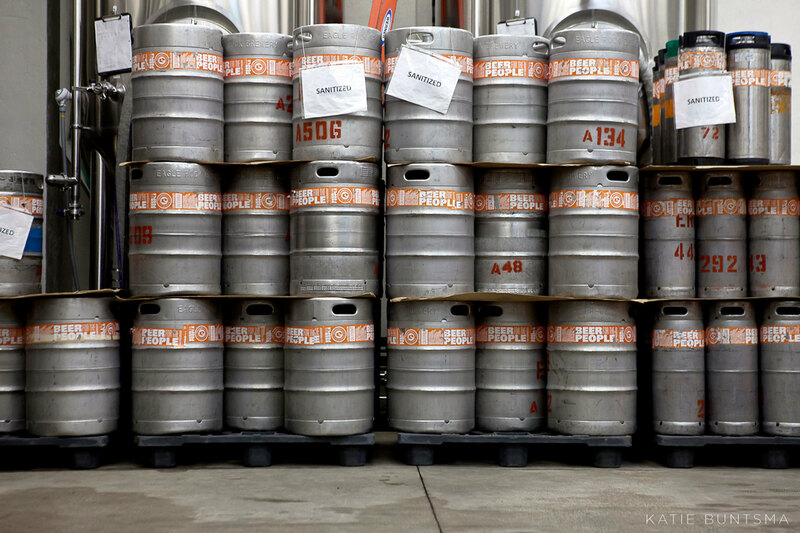 All the 20 or so brews on tap are made in-house, some “551 feet away,” where curious minds can tour the actual brewery. 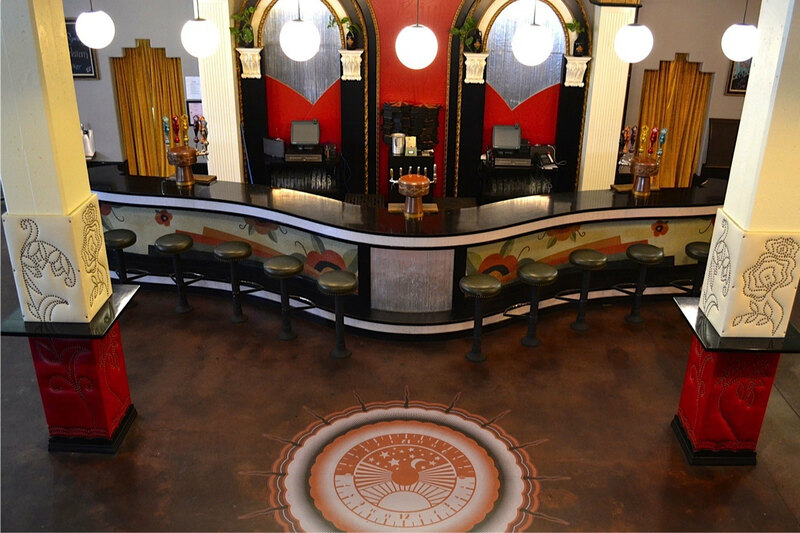 Tours are offered three times a day from Friday through Sunday at 1:30, 2:30 and 4pm, and are capped at 20 people—so be sure to sign up at the bar when you arrive! The tours are free and include a detailed description of the journey between grain to can. 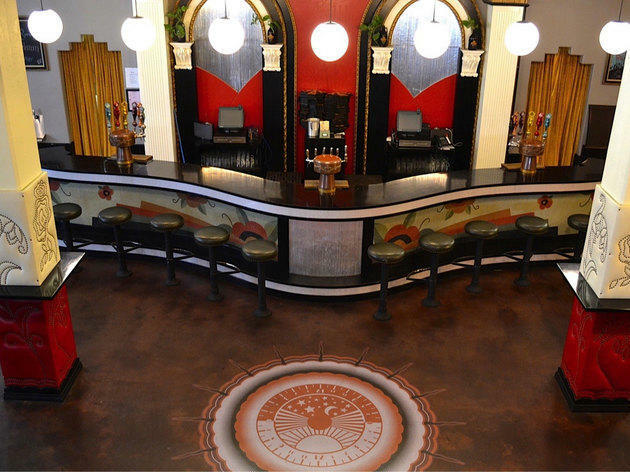 You can also request a private, guided tour for $15, which includes tastings along the way. Photograph: Courtesy Arts District Brewing Co.
Arts District Brewing is as much of an adult playground as it is a brewery: skee-ball machines, darts and a pingpong table fill one side of the massive space, and a full food menu from Neal Fraser's Fritzi is available through a take-out window linking the restaurant and brewery together. Head brewer Devon Randall—one of LA's few female head brewers—has created around 10 original brews, from a crisp Busy Bee Honey Golden Ale to a chocolate-y Velveteen Rabbit Oatmeal Stout. Stop by on Tuesdays at 7pm for a first come, first served tour—there isn't a fee, but you're encouraged to participate with a purchased beer in hand. 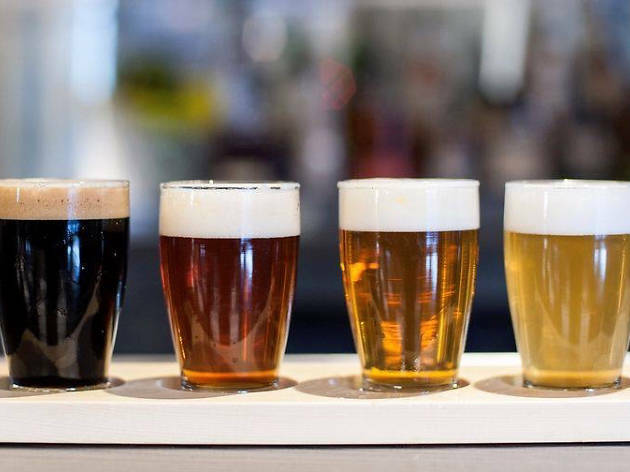 One of the brewmasters will lead a group of 15-20 people for around 20 minutes, detailing Arts District Brewing's history and brew practices while showing off the space. 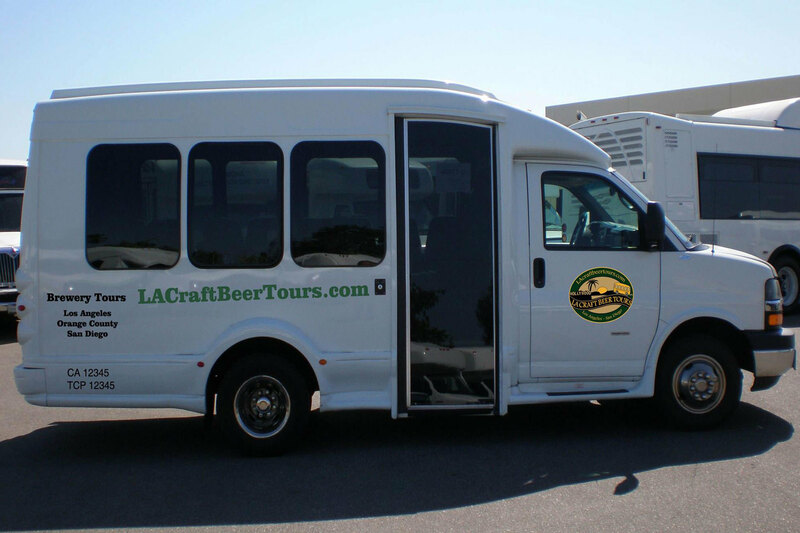 Founded in 2011 by two beer fanatics, LA Craft Beer Tours offers both private and public brewery tours across LA. 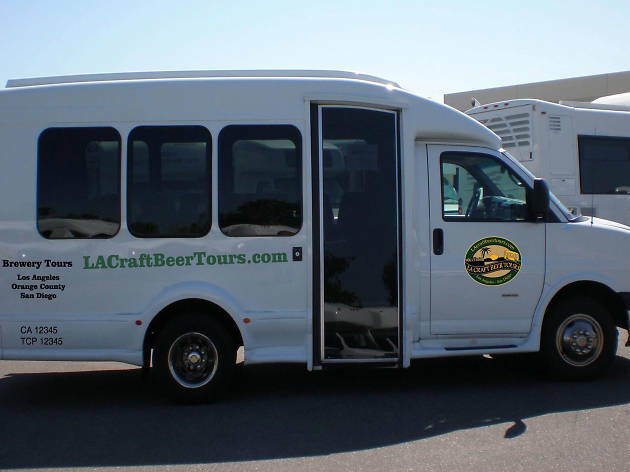 Public tours shuttle thirsty Angelenos around on the company's 15 passenger bus to three breweries, with tickets including transportation, beer tastings and a brewery tour (if available). 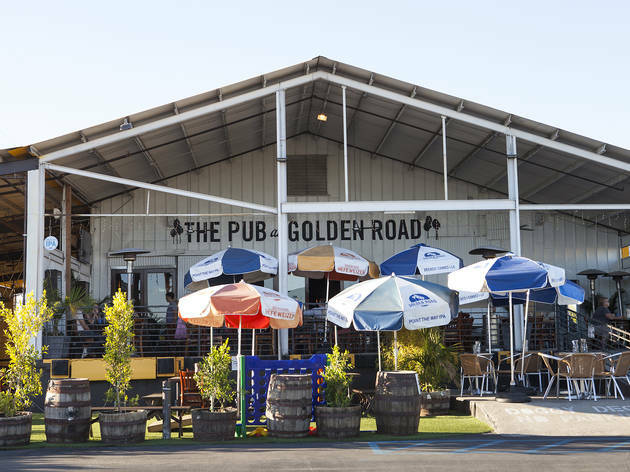 There are two primary tours to choose from: one in the South Bay (pick up is at the Culver City metro before heading to breweries like El Segundo, Phantom Carriage and Strand Brewing) and one in East LA (pick up is at the Hollywood/Vine metro before heading to Eagle Rock Brewery, MacLeod's Ale, San Fernando Brewing and others). 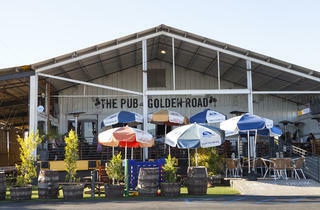 Check the Beer Tours' website for their tour schedule and to purchase tickets, which are $49 per person.